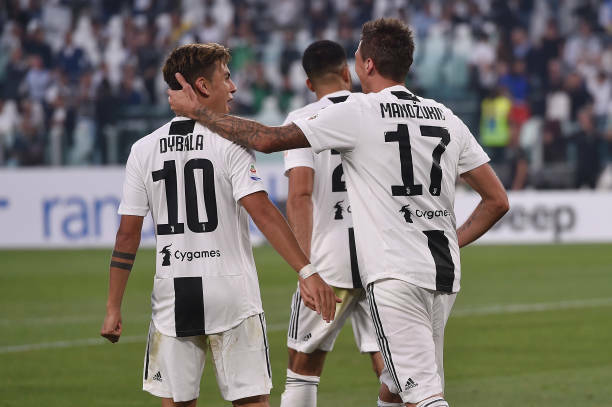 Juventus has elevated themselve after grabbing their 8th straight win to start the year, The Serie A champions still need a creative lineup to tackle their future challenge. Juventus is 8 for 8 to begin the season for the first time in over 80 years and has the opportunity at their first 9 for 9 start in team history. This early season run culminated in Saturday’s win over second place Napoli. Young Boys is off to a similarly hot start in their league. They’ve won all 9 of their matches including a 7-1 destruction of Basel. However, they did have a hiccup in their first Champions League match. They were dominated by Manchester United en route to a 3-0 loss. Juventus will be starting an unfamiliar lineup as their list of unavailable players seems to be getting longer by the match. We already knew that Cristiano Ronaldo would be missing because of his suspension and Douglas Costa would be out because of his injury. Now Massimiliano Allegri has said that Giorgio Chiellini and Joao Cancelo won’t be available on Tuesday either. Juventus will probably need to start this match in a 3-5-2. Allegri displayed last week that he is willing to use the formation that started Juventus return to the top of the league. Even with all of these changes Juventus will be expected to come away with another win. Another short of their perfect start continuing will be considered a disappointment.